Variety reports that three more have joined the cast of the upcoming Pirates of the Caribbean: Dead Men Tell No Tales, including Adam Brown (Ori of “The Hobbit” films), along with Delroy Atkinson and Danny Kirrane. Johnny Depp is reprising his iconic role of Captain Jack Sparrow, while Geoffrey Rush will be returning as Captain Barbossa. Javier Bardem will play the film’s villain, Captain Brand, Brenton Thwaites will play British soldier Henry in the film, and Kaya Scodelario will play Henry’s love interest. 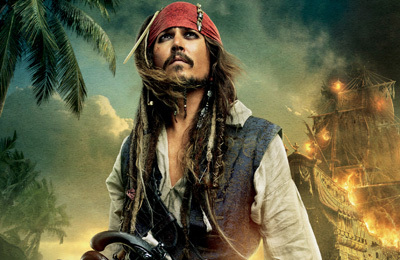 The fifth installment of the “Pirates of the Caribbean” franchise will be directed by Joachim Ronning and Espen Sandberg (Kon-Tiki). The film is slated to be released in theaters on July 7, 2017.